The annual Cappie Critic Room is a HUGE undertaking. We are hosting and feeding nearly 100 teenagers in our Greek Cafe, and we can't do it without your help! 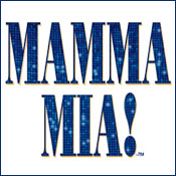 Donations of food, drink, decor, and labor are requested from the families of Mamma Mia's cast, crew, and pit - and with about 100 students participating in MM, it should be a snap! If you have any questions, concerns, or need to make special arrangements to get your donation to us, please do not hesitate to contact us. The Cappies performance is Saturday, May 4, at 7:00 pm. We will need people Friday, May 3, for setup and Saturday, May 4, for finishing touches and food service. Any food being delivered on Saturday should be delivered by 5:00. Volunteers will assist w/moving library items, rearranging furniture, setting up tables/chairs, and decorating. You do NOT have to stay for the full time slot. Come for an hour or 5, whatever you can spare. Would love to borrow lots of white/cream-colored BATTERY-operated candles (any height). Please put your name on the bottom so we know who they belong to. With crockpot liner, if possible (found in foil aisle). Silver plasticware combo box (80 forks/40 spoons/40 knives). 10oz clear plastic cups, 150ct. Can also be gallon jugs. We need several volunteers to help set up the food buffet prior to the Cappies' arrival at 6pm. Timeframe 3-6pm. Should serve 20-25 people - delivered by 5pm. 1qt 2% milk and 1qt half-n-half for coffee bar - delivered by 5pm. We need help changing from dinner to dessert during Act 1 (first half of the show), and from dessert to coffee during Act 2 (second half). Please note you will UNABLE to see large portions of the show.